These Nitrile Gripping Gloves feature form fitting nylon shell and nitrile dipped palm and fingers for excellent gripping power! 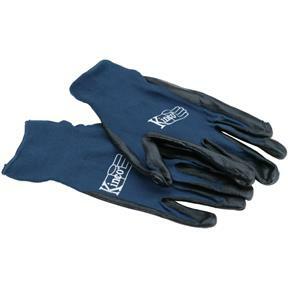 They have a lightweight navy blue nylon knit shell, a black smooth nitrile coated palm, a continuous knit wrist, a polyester overlock hem, and a seamless design. Size Small.